If you need something classy, posh, and perhaps high-end, then it is Hyde Bellagio. 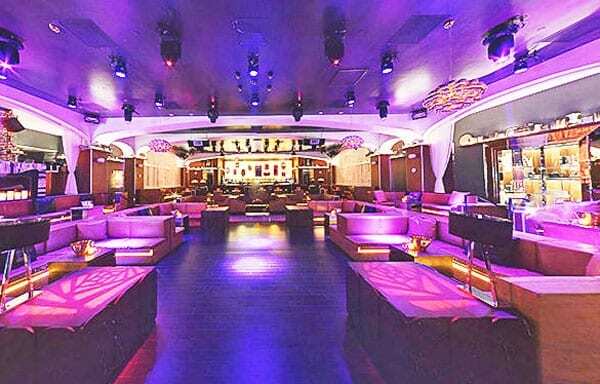 As the name suggests, this is a nightclub that is right at the Bellagio Las Vegas. The nightclub has a beautiful look. The location is ideal. Being inside the Bellagio is not enough. The nightlife is smooth for everyone thanks to the nightclub facing the Fountains. · Monday: 5:00 PM to 12:00 AM. · Tuesday: 5:00 PM to 3:00 AM. · Wednesday: 5:00 PM to 3:00 AM. · Thursday: 5:00 PM to 12:00 AM. · Friday: 5:00 PM to 3:00 AM. · Saturday: 5:00 PM to 3:00 AM. · Sunday: 5:00 PM to 12:00 AM. But as things are, there are chances of confusing yourself. You need to be very careful about time. The reason for saying this is when you look at the timetable, it interchanges. For instance, while opening hours remain the same throughout, there is a change. This change takes place during closing hours. Closing time for Monday, Thursday, and Sunday is the same. Hyde Bellagio closes at 12:00 AM. The club closes at 3:00 AM the other remaining four days. So, you cannot come to the club on Monday and Tuesday and expect to leave at the same time. The closing time of each of the two days is different. Indeed, this is one of the nightclubs at the Strip that is very sensitive with age. While most nightclubs focus on the minimum age, Hyde looks at the maximum age too. The minimum entrance age is 21. But the maximum age is also 45. Also, this means that a proof of identity is a must. Failure to adhere will disqualify you from entering the club. Dressing is strictly left to the individual to choose. Yet, discretion is also important. There is nothing provocative to the club. In fact, one of the rules is that the club reserves the right to permit who enters. That means security team can bar you from accessing the club. Also, this happens if you do not adhere to the fashionable dress code. There is plenty of entertainment. The club has fulltime DJ-spun, House, Top 40, and Eclectic music. Do not worry about parking for the facility offers both valet and self-parking. Besides, if for one reason or another you are using a wheelchair, do not panic. The club is ‘wheelchair friendly.’ Many people check into riding in wheelchairs. You can find an ATM right at the club’s front door. Above all, this is an excellent idea. It means you will not have trouble accessing your money in case you run short of the cash at hand. What is more is that Hyde Bellagio accepts major credit cards. Some of the credit cards include MC, Visa, Discover, and American Express. Like most nightclubs in Vegas, male entry fee in Hyde Bellagio is $30. Ladies, on the other hand, pay $20.